The effectiveness of Stickman 5.3 will be on a high level because you simply press and hold a key to perform a specific action. 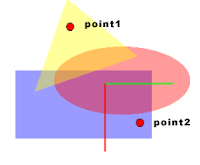 This sample move demonstrates 'Add Point to End A', 'Add Between Points B' and 'Delete Point D' with a polygon shape. I've made the time line easier to use. A traditional scrollbar replaces the fancy stretch and zoom scrollbar. No zooming. It shows the current frame in bold and every 5th frame. You can also right-scroll like the old one. Personally I think the new one is much better. I'm working on the Stickman 5.3 version, and I'm very thankful for the feedback I get. There seem to be a lot of people interested in the new version, since Stickman is moving from a rich color interface to a neutral professional looking interface. I hope people enjoy the new render window, with YouTube, iPhone and DVD alternatives. A new function that has been asked for many times are the GIF export alternative. A young man with the name Jonatan told me that he couldn't figure out how to move the background behind the figures. That can be done with the 'Draw Order' category. Jonatan's brother, Bjørn Sverre, told me that he didn't like the F1, F2, F3 ... shortcuts. Bjørn Sverre asked me whether it was possible to use the numeric keyboard instead. A man from Australia with an injured arm has also asked me about this. Yesterday morning, when I got out of bed, I started working on shortcuts. I found it difficult to use the numeric keyboard without typing numbers other places in the interface. Luckily, I found out that holding Ctrl blocks the input to text boxes. Then I found out that 'Containers' can be merged with 'Animation', visible when 'Matrix Tool' or 'Path Tool' is activated. I hope this will help new users to overcome some of the new beginner struggles. This is a try to combine frame-by-frame with cutout animation. I used a switch node for each back leg on the puppy. 1. The size of the gray scrollbar controls the time line length. 2. Double-click below the numbers in the time line to add key frame. 3. The red round button controls the time line offset. 4. Turn on Edit->Preview: Time Line when working with long animations. 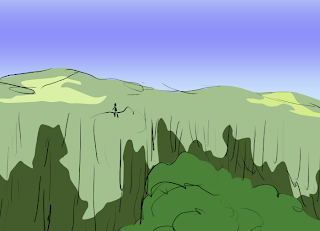 In this simple drawing I combined strokes from Photoshop with coloring in Stickman. 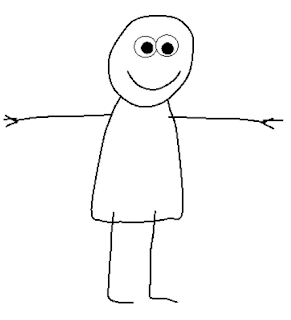 I want to create a funny, simple character that looks like taken a child drawing. For the head and boy, I created a curve element. I used the 'freehand' mode to draw the shape. For the legs and arms, I used opencurve. I used 'deform' nodes for the arms and legs. No bones except for the head. 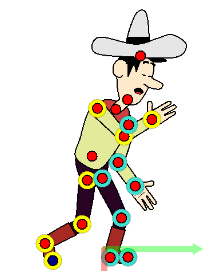 That makes it more difficult to animate, but gives more control for stretch and squeeze. This article will tell you the secrets of good animation. Good animation have more common with theatre than drawing or painting. It depends mostly on how the character acts. Can you tell me what the cowboy is doing in the first picture? Can you tell me what the cowboy is doing in the second picture? I can't tell you what the cowboy is supposed to do in the first picture. It just looks unnatural. In the second picture, it's clear that the cowboy is tired (or sneezing). Maybe he's going to bed. This is the difference between a thinking character and a controlled robot. Your job as an animator is the create the illusion of live. Make the character behave like it's thinking and acting on it's own. The goal of animation is to make the publicum forget that what they are watching is animated. Yeat another frame-by-frame drawed animation. This was for testing semi-transparent black pixels copied from Photoshop. For some reason, Windows does not copy semi-transparent pixels to the clipboard (or is it Adobe Photoshop's fault?). Therefore, I created a new algorithm that filters out non-grayscale colors and sets the alpha by blackness value. I have been working on the new interface design. Replacing all the black backcolor made the interface much brighter. Replaced Navy blue color with DimGray at the tool headers. Here are some gif animations I've created with the upcoming Stickman 5.3. 1. Paste Drawing From Clipboard (removes the background color). 2. GIF export in CA (Create Animation). 2. Open Stickman. Select 'New Figure'. 3. 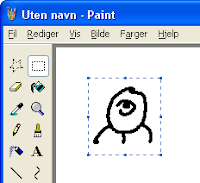 In MS Paint, select a frame and use Ctrl+C to copy to clipboard. 4. 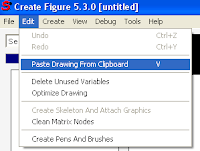 In Stickman CF (Create Figure), goto Edit->Paste Drawing From Clipboard. 5. Repeat step 3-4 for every frame. 6. 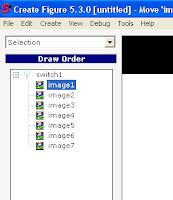 In Stickman CF (Create Figure), goto Create->Control->Switch. 7. Put all images inside the switch. 8. Select 'Placement' and resize the figure so it fills the screen. 9. 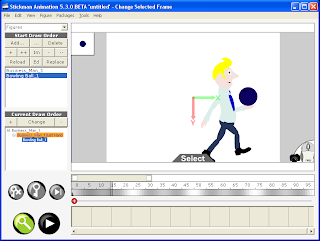 Save the figure and add it to Stickman CA (Create Animation). 10. Use the switch tool to flip the images. 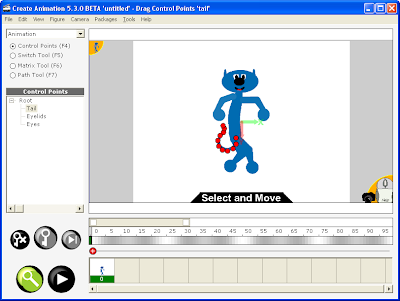 Create a key frame for each 5th frame. 11. Render as GIF Animation with 5 frames per second and resolution 64x64. Karine designed a cool new logo for Stickman. The new version of Stickman (5.3) will be much faster to receive news or to browse the online library. Users that had problems with time delay between the server in Norway and their location will get a better experience. The problem was to detect the length of the data stream received over HTTP. Before, the length was unknown. 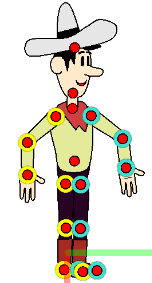 Therefore Stickman had to wait some time before disconnecting the data stream. I found a method to read the data stream length. Now the data stream is closed immediately at the end. This means better speed. Stickman & Elemento is now becoming 'Stickman'. The reason of this name change is that Stickman & Elemento are no longer two programs, but two different tools in the same program. Perhaps some customers are confused when they order, wondering if Elemento comes with Stickman, or if they need to order Elemento too. The figure file format will still be elemento. I've been working on the next version of Stickman for a while. There will be some big changes and many small ones. One thing I discovered was that the toolbar with the shortcuts (F1, F2, ...) is a bad habit to use. Most users never find out how the software is structured because of this. I want people to develop from beginners to advanced users without getting boring. So I removed the toolbar in the new version, leaving the user with a drop down list and shortcuts. No colored toolbar that make bad habits. The interface does not look very fancy, but it's cleaner and I love it. It looks more like the old interface of Stickman 4, but I think new users will learn quicker. This tutorial shows how to create and use containers. Containers are a way for figures to pick up and carry items. A figure can also be displayed inside a container, for example in a space ship. A new node called 'recursive' can be used to create plants in Elemento. It draws all sub nodes recursively by replacing one of the sub nodes with itself. The sub node to replace is defined by the 'ReplaceVariable' property. The 'Region' property controls the area to grow new branches. Watch this tutorial to see how to set up the recursive node. 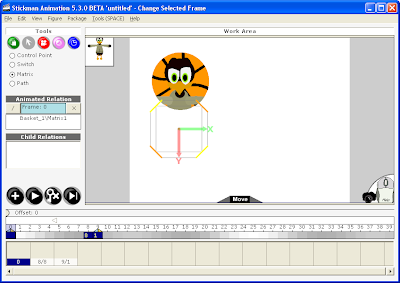 How Do You Make Animation Software? Well, first you need to know a programming language. I started with Visual Basic, known as VB when I was 13. My uncle gave me a 1300 pages book about Visual Basic 3.0. I thought I would know everything about computers by reading that book. Of course you learn only a small part of programming by reading one book, but enough to do something that looks like magic for non-programmers. I remember the first time I was able to save and load data from a file. In old VB, there was not many functions for dealing with graphics. Finally VB.NET came, with vector graphic and image support. It all started when I read an article about skeleton simulation. I made a little program with pictures attached to a skeleton, I thought that was a very easy way to animate. All software I write has some kind of technology in its kernel that makes the life easier to the users. The important thing is how the user interact with the technology, not the technology itself. 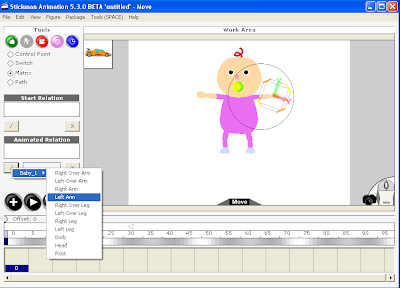 There are many ways of creating an animation software, that's why all animation software packages are different. 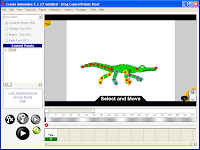 Stickman 1.0 was designed to teach children how to animate with key frames. Later I created Elemento to build new figures for Stickman. 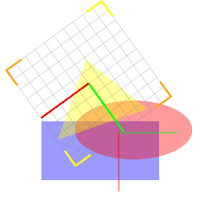 I think separating the figure editor from the animation editor was a lucky guess I made. When I see back I think that's why Stickman & Elemento appeals to both children and grown-ups. The youngest user I know is 6 years and the oldest 80! You can download Stickman & Elemento from this page. 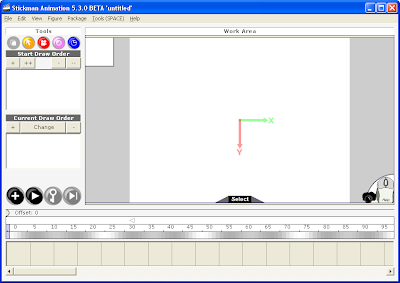 Sven shows you how to animate a simple helicopter in Stickman. 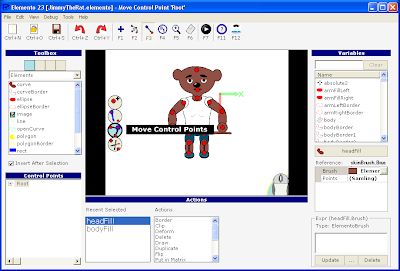 Visit www.cutoutpro.com for more information about Stickman. 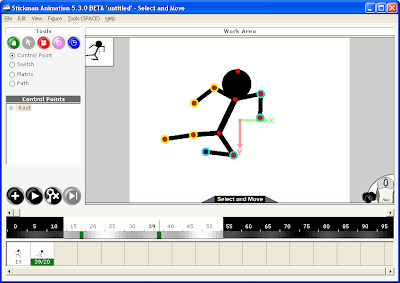 Sven shows you how to get started with Elemento, the figure editor for Stickman. Stickman got cool features that makes animating fast and easy, but did you know there are shortcuts to work even faster?